So many ways to make a quick DIY lemon eucalyptus mosquito repellent! We give you 5 fun recipes that work brilliantly at keeping pesky mosquitoes off you and yours. As the saying goes, the common mosquito may be a tiny insect but it has the power to topple an elephant. Now how could that happen? Statistics show that the mosquito causes more human suffering than any other know organism because more than one million people die from mosquito-related diseases annually worldwide while a whopping 700 million people suffer. They are both carriers and transmitters of several deadly diseases. The most notorious mosquito varieties include the Anopheles, Aedes and Culex types of mosquitoes. Mosquito bites can result in malaria, West Nile virus, dengue, yellow fever, chikungunya, tularemia, filariasis, Japanese encephalitis, dirofilariasis, Western & Eastern equine encephalitis, Saint Louis encephalitis, Ross River fever, Venezuelan equine encephalitis, La Crosse encephalitis, Barmah Forest fever and Zika fever. 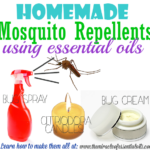 Making a mosquito repellent at home using essential oils is a viable option as their medicinal properties powerfully repel insects such as mosquitoes. Moreover, a DIY homemade mosquito repellent is generally of an organic nature and has few or no side effects. Commercial mosquito repellents are known to contain DEET or N,N-Diethyl-3methylbenzamide, which has some proven contra indications for humans. Even though DEET protects your skin from insect bites, it is likely to react negatively with other chemicals, making it toxic. Moreover, its excessive use may harm your central nervous system. Homemade mosquito repellents also turn out to be cheaper and may be customized to specific needs also. Why Use Natural Essential Oils For Making Mosquito Repellents? 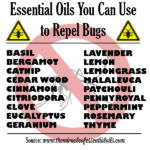 Essential oils are an ideal choice for manufacturing mosquito repellents. 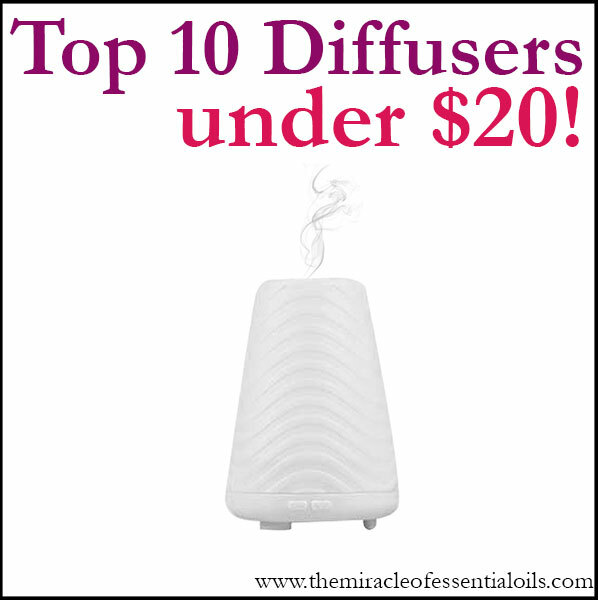 Essential oils are better than synthetic alternatives that are known to be toxic to health. 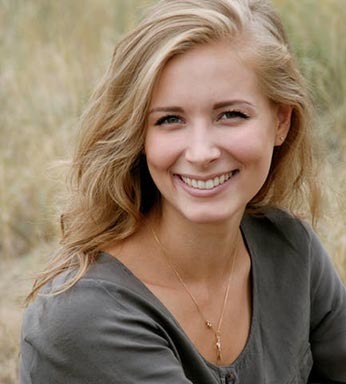 Unlike synthetic components, essential oils promote skin health, work well on sensitive skin without causing allergies and rashes and come without petroleum and parabens, which are known to irritate sensitive skin. Even though you may get a couple of DEET-free repellents in the market, they aren’t fully chemical-free and may be toxic for the human body. Such products may actually be pricier than the rest. Thus, natural essential oils turn out to be a much safer and cheaper choice. Did you know the ideal natural essential oil to protect yourself from mosquito bites is the Lemon Eucalyptus oil? It is extracted from the leaves of the Eucalyptus citriodora tree found in Australia. 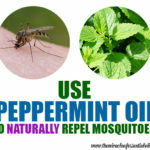 It contains the para-menthane-3,8-diol (PMD) compound, which makes it hard for mosquitoes to pick up your skin odor, which usually attracts them. The oil undergoes processing to increase its PMD concentration and has been called a biochemical pesticide, because of its purely non-toxic mechanisms. Moreover, PMD-rich, specially formulated lemon eucalyptus oil doesn’t irritate the eyes or skin like DEET does and lasts much longer on the skin also, unlike the essential oil of lemon eucalyptus that lasts for just about an hour. The World Health Organization (WHO) has classified lemon eucalyptus essential oil and natural lemon eucalyptus oil differently, so caution needs to be maintained when using them. Eighty five per cent of Lemon eucalyptus essential oil is citronellal—a terpinoid compound. Moreover, the CDC strongly advocates the use of PMD as a plant-based repellant in disease-endemic areas. A study conducted recently shows that a solution with 32 per cent lemon eucalyptus oil provides more than 95 percent against mosquito bites for 3 hours because of the menthoglycol present in it. There are a number of ways you can make your DIY lemon eucalyptus mosquito repellent. Just pick and choose the one that’s most convenient for you. They all work equally well. The most common DIY Lemon Eucalyptus mosquito repellent recipe uses witch hazel as a base, along with vegetable glycerin and/or vitamin E oil. In a 2oz spray bottle, mix 1/4 cup of witch hazel and 1/4 cup of glycerin. Then add 2 tsp of lemon eucalyptus oil to it. Shake the spray bottle vigorously until everything is mixed very well. Now you may sprayed directly in the air or spray on skin from a distance of 6 inches away to keep mosquitoes away. Not to be used on sensitive skin or on children’s skin. In a glass container, take 1/4 cup of coconut oil and 1 tsp of lemon eucalyptus oil. Mix them together. This can be applied directly to skin. It will act as an effective mosquito repellent. 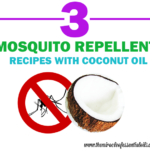 Coconut oil is the perfect carrier oil for mosquito repellents because its unique molecular structure prolongs the durability of the essential oil added to it. Take 10 tablespoon of sunflower oil and mix with 1 tablespoon of lemon eucalyptus oil and store in a bottle. Take five tablespoons of witch hazel and add 10 drops of vanilla essence. Now mix everything together in an empty spray bottle. The witch hazel is an emulsifier while the vanilla extract makes the spray’s smell pleasant. Rub on the skin as and when required to keep mosquitoes away. Take thirty drops of lemon eucalyptus oil in a mixing container and add 1 teaspoon of vanilla extract as also 4 ounces of vodka or rubbing alcohol. Shake the container well so that all ingredients mix well and store in a spray bottle. The spray works for about 4 hours on an average. Soybean oil is also a great carrier oil that lengthens the lasting power of lemon eucalyptus oil. Mix 1/4 cup of soybean oil with 1 – 2 tsp of lemon eucalyptus oil. This can applied directly on the skin after a patch test to verify that you don’t have any sensitivities. Lemon eucalyptus is pretty amazing at warding off mosquitoes. The soybean oil functions as a natural moisturizer also. Keep in mind the CDC has warned against using lemon eucalyptus oil on children under the age of three. Moreover, nursing or pregnant women should use it under medical supervision only. 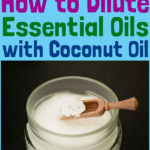 Never use essential oils directly without properly diluting them with carrier oils. Certain ingredients in DIY products may trigger allergic reactions. Please do a patch test prior to using any product that contains lemon eucalyptus oil. Not for internal consumption either. Keep away from children and pets. 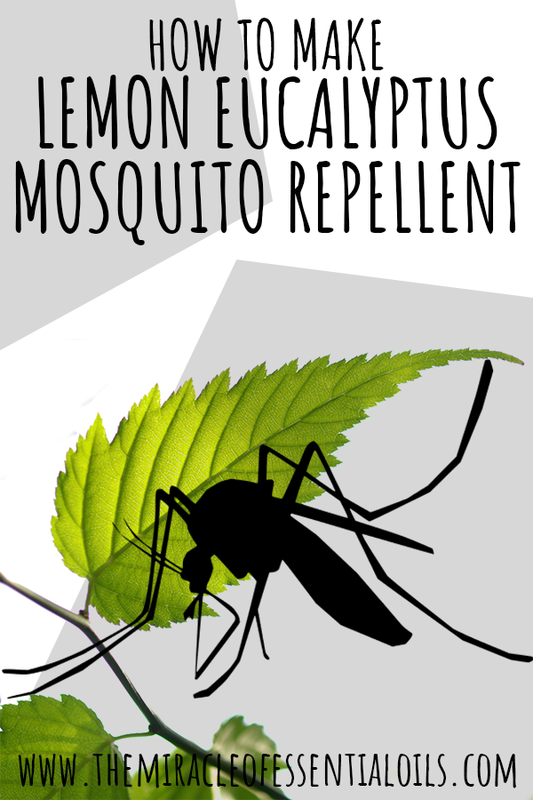 Have you tried any lemon eucalyptus mosquito repellents? How effective were they compared to others? 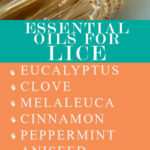 What are the Best Essential Oils for Lice?